The information-technology revolution over the last few decades represents the latest development in the innate desire of humankind throughout its history to thrive at an optimal level through the use of technology. We now take for granted instant access to information anywhere on the planet, and the pace of advancement shows no sign of abating. Technology confined to the realms of science fiction and futuristic fantasy not that long ago is now embedded in our everyday life and is unfolding at a rapid pace. The new kids on the block — artificial intelligence, big data with data log via AI, the “internet of things,” robotics and so forth — are even pushing us past the information-technology era. Self-driving cars, drones, artificial interpreters and care robots are just a few already in practical use. As always, advancements bring challenges, not least of all in the field of education. 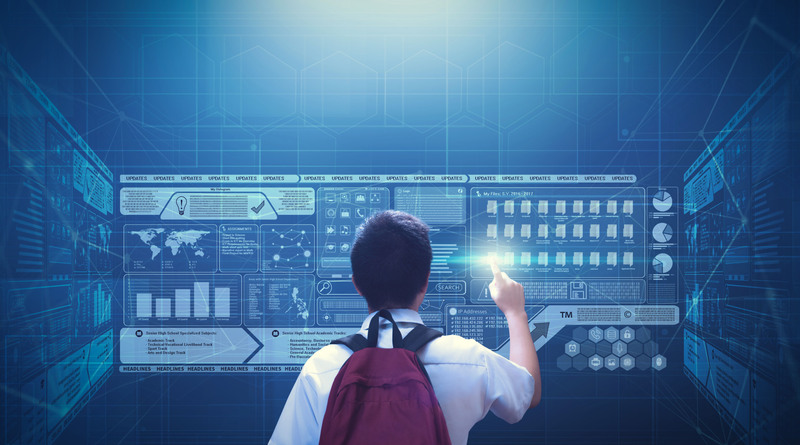 Education has to keep pace with technology and utilize its benefits at the grassroots level — or risk creating a disparity between the classroom and the real world. A working group under the umbrella of the Cabinet secretariat’s education reform council, of which I am a member, focuses on education innovation using advanced technology. The group meets every three or four weeks to discuss strategies to meet these challenges. One area of development that excites me is the possibility of producing personal records for each student containing their learning history. Using AI technology, such records could include continuous evaluations, achievements, health condition and more, from elementary to secondary and even to higher education. Analyzing such information holds great potential. Students, for instance, could be offered a personalized study plan with suggested content identified to address their weaknesses as well as programs for improving their established strengths. A student who demonstrates manual dexterity could be made aware of that and guided into pathways leading to fulfilling opportunities in such fields as craftwork. A student with exceptional social skills could be made aware of possible careers in sales or services. Such information could be particularly useful when choosing a field of study in higher education, and ultimately one’s career. Until now, university admission has been mainly determined by fixed points of observation and evaluation through testing. However, the method would enable an approach to observe students continually over a sustained period of time, helping to create a custom-made program for a student’s particular strengths and passions. This continuous recording or portfolio approach could also be useful for businesses and improve the function of their human resources departments as they decide where best to place their newly employed college graduates. The son of one of my friends recently quit his job two years after being appointed to the general affairs department because his strengths and personality were not suited for such a post. This had a devastating impact on his confidence and self-esteem. This is not a rare case. Many high school students are advised to apply for any field of study in higher education depending on the level of their academic scores. It is not unusual for a student to apply for law at one university, economics at another, literature at yet another and even education at a fourth. Evaluating a personal portfolio record with AI would thankfully make this kind of practice in university admission a thing of the past. 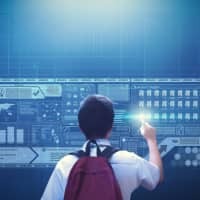 Another area where technology can bring about dramatic and significant changes is with regard to resources made available to students at schools. Up until now, textbooks have been the main and almost only resource being used in classrooms. But technology offers a huge range of resources such as apps, YouTube videos and other online content. All of these can support students to have deeper and broader understanding in their learning. Of course the proliferation of such resources requires that a new set of critical thinking skills should be developed; new and constantly changing information must be critically appraised for trustworthiness and appropriateness. It is inconceivable that any school utilizing new technology would not have the support of IT engineers or technicians. Installing apps to support downloading resources, managing and running servers for information, sharing information with students to provide a network that respects privacy, and so on, means the work will be extensive. The support of IT sectors should be requested so that engineers would be dispatched to help such work at public schools. The government should not be tempted to order schools to use teachers to take on IT roles of any kind in addition to their teaching task. It is no secret that teachers at Japanese public schools work notoriously long hours, in fact more than in any other OECD country. Implementation of advanced technology for education requires specialist skills, which take years to develop. It is essential that manpower is made available to provide material for teachers to use in the classroom. The material should be derived from a wide array of resources and follow the national curriculums for every grade. If this manpower cannot be provided, then a solid resource database updated almost daily can be provided for teachers to use. Teachers should be able to scan the database with ease and choose the content suitable for their class to use. The challenge is to bring the latest technology effectively into schools and at the same time allow teachers to concentrate on the important job for which they are trained: nurture and care for our future generations. Ikuko Tsuboya-Newell is the founder and chair of Tokyo International School. She serves as the International Baccalaureate Japan ambassador and as adviser on revitalization of education commissioned by the education ministry.